"Birch you were always there to help me move.I will miss you..."
"Hey Birch, we were pretty tight back when we were young..."
"Great guy. 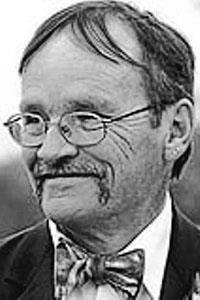 My condolences to the family"
BELGRADE - Birchard Lloyd Brooks, 61, beloved father and friend, passed away unexpectedly and peacefully at his home Tuesday, Feb. 5, 2019, with his dog, Peanut, by his side. Birch was born in Waterville, on June 10, 1957, the son of Clifford and Arlene (Corson) Brooks Sr. He graduated from Messalonskee High School in 1976. Birch first worked at Tiffany Builders followed by Cascade Woolen Mill, Schwan's Sales, and International Paper. Birch was a strong, hard-working man with a huge heart and a sense of humor that drew you in. He had a few true passions in life which included enjoying the great outdoors, tinkering on things, helping others and his most treasured was enjoying time with his children and grandchildren. With a great sense of pride, he taught from the heart that family and hard-work would take you anywhere you needed to be in life. A man of few words at times, they always seemed to be the right ones and at the right time. He was an avid outdoorsman who truly enjoyed the opportunity to share his love of hunting, fishing, and camping, with many family and friends. Countless trips into the north Maine woods were stamped with his presence and simply unforgettable. When he wasn't outdoors, he could frequently be found working in his shop or garage tinkering on a wood or motor project. Birch was also a very caring man who often thought of others before himself and was willing to help wherever he could. His sense of humor was unique and having a good laugh with Birch was something anyone who knew him would remember. Birch was predeceased by his parents, Clifford and Arlene Brooks Sr.
Birch is survived by his loving children, son, Jeremy Brooks and wife, Megan of Waterville, daughter, Rebecca Kingsbury and husband, Braden of Oakland; his four wonderful grandchildren, whom he loved endlessly, Sierra Kingsbury, Aspen Kingsbury, Baxter Brooks and Iris Brooks; his four brothers, Byron Brooks of Waterville, Clifford "Kip" Brooks Jr. of Rome, Jeffrey Brooks of Winslow, and Mark Brooks of Oakland Park, Fla. The family would like to thank the many special friends Birch had for adding joy and laughter to his life. A special and heart-felt appreciation to Sam Bouchard, Karla Carey, James Grady and Tasha Stevens for always keeping an eye on him and loving him like family. Visiting hours will be held at Wheeler Funeral Home, 26 Church St., in Oakland, on February 15 from 6-8 p.m. A private event will be held at a later date to pay tribute to and share his life. Arrangements are by Wheeler Funeral Home & Cremation Care, 26 Church St., Oakland.